Is there a genuinely independent go-to guide for anyone who cares about the future of the UK economy, but isn’t yet sure how to cast their vote in the forthcoming referendum on Europe? Although two thirds of voters are said by unreliable pollsters to have made up their minds already, it still leaves at least a third undecided. As the strident rhetoric and tendentious factoids of the two campaigns intensify over the next few months, the need for dispassionate analysis of the pros and cons of Brexit could not be greater. It seems a good time then to take counsel from one of the wisest greybeards working in the City. 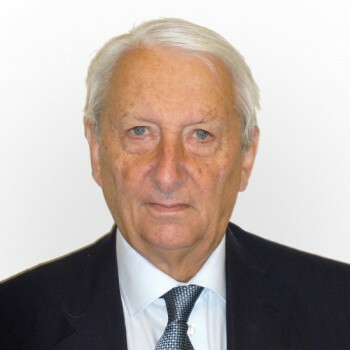 Rodney Leach, now Lord Leach of Fairford, did as much as anyone, through his leading role in the campaign group Business for Sterling, to save us from the disaster that would have been membership of the euro. Today, in addition to his day job as a director of Jardine Matheson, he is the chairman and guiding light of the campaigning think tank Open Europe, which has been pressing for effective, non-partisan reform in Brussels for the past decade. Has David Cameron done enough to get a yes vote come the referendum later this year, I ask him therefore? We are talking in the upper reaches of 3, Lombard Street, a stately building that overlooks the Bank of England and the former Royal Exchange building in the heart of the City of London. Well, there are two questions in one there, he replies. One is “has Cameron done enough to deserve a yes vote?” The other is “has he done enough to get a yes vote?” On the first question Leach says simply “I wish that he had asked for a lot more”. The package of reforms largely thrashed out ahead of the Council of Ministers meeting in mid-February — and announced by the Prime Minister on his return from Brussels (shortly after this interview took place) as a breakthrough deal — falls way short of the comprehensive reforms Open Europe had been pressing for. It says nothing about the CAP, fisheries or the ‘insane’ budgetary process. It is a pity, he says, that Cameron did not go after the budget system, which ‘almost everyone in Europe acknowledges is ridiculous’. The status quo is still the Remain campaign’s strongest card. “In one of the Danish referendums, the questions we asked was “Do you know enough to say yes to the euro?” and that was extremely effective [in producing a No vote]. People there felt “No, I don’t know enough to do it”. With Brexit however the question “Do you know enough to want to stay in?” is an easier one to answer than “do you know enough to want to leave?” The devil you know, in other words, over the one that you don’t. What are the realities of the economic arguments for and against remaining in Europe? Armed with Open Europe’s detailed research findings on the likely economic impact, Leach is scathing about the “adversarial claptrap” being advanced by the activists on both sides. The Brexit camp “claims that the gains from getting out are much greater than we think they really are. But the same is true of the other side, that those who want to stay claim that the losses [from leaving] are whole magnitudes larger than we think they are”. Is this a lack of understanding or wilful misrepresentation, I ask? “Probably a bit of both. The economics on the remain side that I’ve seen is very low quality. You get this nonsense about three million jobs at stake, which is just completely wrong. And all this talk about exclusions. You ‘re not excluded from markets. We are not excluded from the Brazilian market. The Chinese and Americans are not excluded from the European market. It is just nonsense”. Open Europe’s own assessment, published in January, is that the economic impact will most likely be around plus or minus 1.0% of GDP, depending largely on what Government does after the vote. “The benefits and disbenefits are fairly marginal on both sides. There is an obvious disbenefit from the sheer cumbersomeness of leaving, just having to negotiate so many things. So much of European law is passed into English and Scottish law. Some regulations have immediate external force, but most directives have to be enacted into domestic law, so we’d have to repeal lots and lots and lots of those”. “I think most of the arrangements between companies, the whole interlinking of supply chains, would, to a very large extent, survive, but I suppose that if you had some years of difficult negotiations, companies who felt competitive with British suppliers in Europe would try and take advantage of that, and no doubt they’d have some success. Equally, as UKIP says, as we buy more traded goods from Europe than they buy from us, we’d have very strong cards to play on the other side. So I think, depending exactly on how Brexit negotiations were handled, we could end up with very little change”. A great deal however depends on the policy direction that the UK would adopt if it did vote to leave. Leach makes the point that the positive benefits of leaving will only be achieved if the country faces up to the need to become more internationally competitive. That means, among other things, more deregulation and similar but targeted levels of immigration– not exactly the policies that the most ardent No campaigners seem ready to embrace. The problem both sides face, he argues, is that they start from narrow ideological positions but need to win over those in the centre who are not their natural allies. This explains, in his view, why so much of messaging coming out from both sides is so muddled and confusing. But don’t forget, Leach goes on, that Europe would “suffer more than us if we left”. Why? “Because Europe would lose a sixth of its contributions to the budget, which would have to be made up elsewhere. It would also lose its financial market, which is a large part of its soft power. More people commute into the City every day than live in the so-called competitors like Frankfurt. If you talk to the Chinese, or Americans, the existence of the City is a huge source of soft-power for Britain all round the world”. “Europe would also clearly lose its main window on the Anglo-Saxon world. It would lose half its military force, at a time when Putin’s at one door, ISIL at another. It would jeopardise its intelligence-gathering – though of course, that could be reinstated voluntarily and probably would be. Above all, I think Europe would lose its self-confidence. Since I became interested in Europe its share of world GDP has fallen from 30% to about 20%. With Britain going and with the stagnation that’s still apparent in much of Europe, in part because of the Euro, in part because of unreformed economies, you can see Europe coming down to 15% of world trade, at which stage, with no army, no foreign policy, no great central soft-power like all the City’s services, Europe becomes just a largish commercial grouping”. “They simply couldn’t pretend to treat on equal terms with Washington or Beijing. The more extreme versions of change in Europe, both left and right – the Podemoses, the National Fronts, the Sweden Democrats, Geert Wilders – would all be encouraged too. If Britain’s going, they can play the same game. I think they would become more divisive and that would also weaken Europe. So, yes, I think Europe stands to lose a very great deal”. Does Leach have a view about what kind of deal outside the EU would best suit the UK, if it came to that? Not Norway’s, he says, for sure – all the rules, but no votes. The Swiss model, with multiple bilateral agreements that have to be reviewed every few years, is not perfect either. Canada’s free trade agreement with the EU looks better, but has still be ratified after eight years of negotiation. And it wouldn’t deal with what is the UK’s greatest trade objective, which has to be a free trade agreement with the EU in financial services, which we still await some 30 years after the Single European Act. If the UK does vote to remain, the challenge will be to continue the campaign for reform. Fine, I say, but how realistic is it to expect that Europe can or will reform? “It is too early to say, unfortunately” Leach replies “just as Mao said when asked whether he thought the French Revolution had been a success. It is very clear that the mood for reform is much stronger than it was. The voices for reform are more widespread. But it is not clear that it has overcome the intrinsic systemic inertia of the huge EU machine”. “We’ve got to get 28 countries to agree and there is a bureaucracy that has got longer tenure than any politician. So therefore what you see is that there’s only one major country which is really in favour of reform, and that is Britain, with help from Scandinavia, help from the Netherlands, and sometimes from other places, depending on which government is in power”. (The Renzi government in Italy is currently very pro-reform at the moment). It is a mistake however, Leach says, to assume that popular parties such as the Front National, Podemos or Syriza are in the pro-reform camp. “They are just fed-up ists. They can’t stand the system”. It amuses him when “we in Britain are called the awkward squad by the European orthodoxy when we are the exact opposite. We are trying to keep the orthodoxy on the rails by reforming it, rather than overthrowing it”. 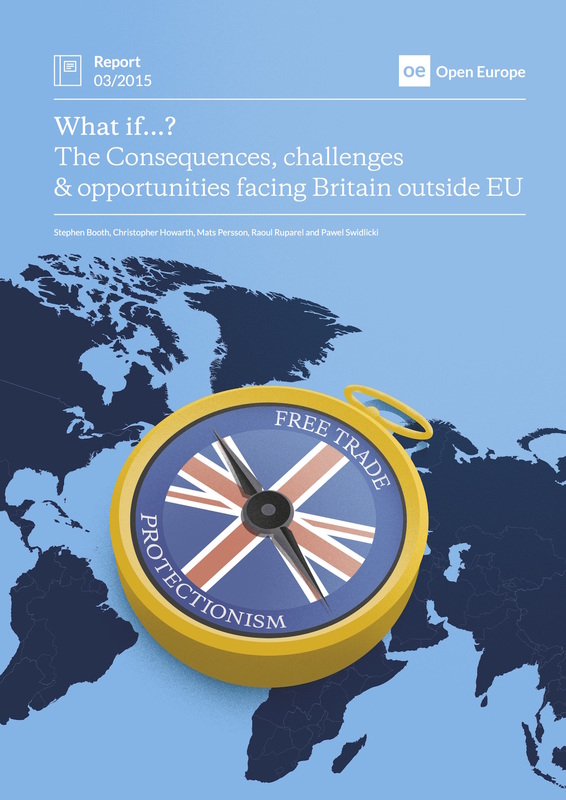 This brings us to another thorny point, which is that the Brexit debate, which ideally would be centred on the twin issues of free trade and sovereignty, has instead become mired in a parallel issue, immigration. “Not surprisingly, the public does not find it easy to unscramble the difference between legal migrants under the EU treaties, which Cameron has got his special deal on, illegal immigrants and refugees”. Refugees, Leach points out, have to pass several stringent tests before they can become European citizens – it takes at least eight years in Germany. “The idea that is sometimes canvassed by some of the wilder elements that people who have misbehaved in Cologne immediately get some form of European citizenship, then pass into Britain and violate the good women of Birmingham and Swindon is very wide of the mark”. What about the constitutional issues, on which Leach has also been keenly involved? Would it make sense to seek a veto on EU laws, as Boris wants? Leach surprises me by saying he is not sure how strong a point it is. When he goes to visit schools he asks the kids to think about the difference between a province and a country. The former can’t make war, have their own currency or control a budget. Yet the UK has all of those and “even on borders, except what we have actually agreed to do by treaty, we have complete control of our own borders and with Schengen, we have very large control even within Europe. So I don’t think the constitutional infringements are all that great”. Our judges though, he says, could and should do more to fight back against the separate but complex issues of human rights, which the European Court of Justice has colonised. In an ideal world, he says, the referendum would be held in five or six years time, when a new treaty will be needed to validate what the Eurozone in particular, if it has survived, and the European project will by then have become. “The Eurozone says by its own volition that it needs a treaty in a few years’ time and I think they’re right. We of course have a veto on that treaty”. That would provide the UK and others outside the single currency the maximum amount of leverage to secure lasting reform. “That, so far as anything is complete in this wicked world, would complete a process begun in the current referendum. That is my vision of Europe. I hope I’m still around to see it”. This is a fuller version of an interview which first appeared in the The Spectator March 5th 2016 issue.